I have been a vegetarian all of my life and flying for the airlines for the last 4 years. I have the lifestyle down to a science. These 5 items are a must have for all vegetarian/ vegan pilots and flight attendants. It will let you carry home-cooked meals on a trip. It will make sure you never go hungry on the job. It will be there when you need a quick snack. It will give you control over your diet regardless of what city/ hotel/ airport/ airplane you are in that day. This is the most important possession for vegetarian/ vegan airline pilots and flight attendants. If you don’t follow any other advice from this site, at least pay attention when I tell you about the lunchbox. Here’s why. This video shows exactly how I pack for my trips and how much food my bag can hold. Which cooler bag should you buy? I have only used the luggage works large cooler bag and it has served me well for the last 4 years. It is a little beat up but it has been so sturdy that I don't see myself needing to replace it anytime soon. Here it is after four years and 3500+ hours in an airplane. These are a lifesaver on the job. If your day is so busy that you can’t even spare a few minutes to heat some food in the crew lounge microwave, a protein shake will make all the difference. Throw in a healthy snack bar and you have just bought yourself at least a few more hours. In the last month I have started buying Vega single-serving protein shakes and Clif Nut Butter bars to bring on my trips. All vegan pilots and vegan flight attendants know how limited hotel breakfasts can be. Plus, if you have a 5 am showtime, there won’t be anything even to eat yet. I start every morning on the road with one protein shake and one Clif Nut Butter bar. 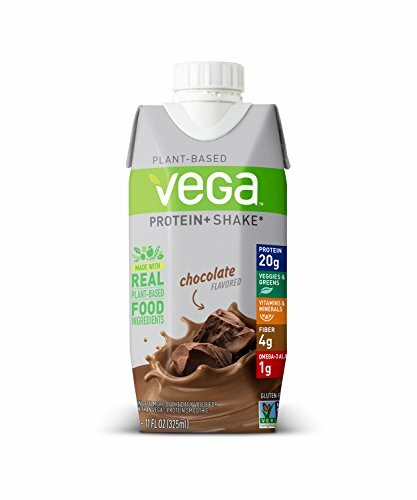 The vega single serving protein shakes are excellent because they are pre packaged. This means you don’t need to carry a bag of messy protein powder or even a blender ball. Just pull one of these out of your bag and chug! I can usually buy a 12 pack of these vega drinks on Amazon for about $20. The price seems to fluctuate from $20-30. When it’s $30, I go instead for Orgain grass-fed whey protein drinks. They are always about $19 for 12. They taste better than Vega so if you are not vegan, I recommend Orgain’s product. Here they are to buy from Amazon. They both have about the same nutritional content which is 20 g of protein at 160 calories. The difference is the Vega contains Branch-chain amino acids. Do some research and see if this is important for you. The two best protein bars on the market right now are Rise “Lemon and Cashew” bars and Garden of Life chocolate bars. Both are vegan. Rise taste much but only have 15 grams ofprotein where as Garden of Life bars have 20 g. If I were to recommend one, I would say go for Rise bars. They taste much much better. The only two vegan snack bars that I recommend for pilots and flight attendants are Clif Nut Butter Bars and Health Warrior Chia bars. Clif Nut Butter bars have about 240 calories with plenty of good carbs and fats. Did I mention they taste delicious and don’t have too much sugar. My favorite flavor is the coconut almond butter. Health Warrior Chia Bars are awesome the contain a ton of Omega’s. These oils are super important for brain health and cognitive abilities. They are especially key for vegetarians and vegans who don't eat fish oil. The bars are a delicious little 100 calorie snack too. My favorite flavors are the peanut butter chocolate and the mango. If you don't bother cooking anything for your trip at least bring the required materials to make a PBJ sandwich on the road. It can be a total lifesaver and is believe it or not a pretty solid meal. I just so happen to love PBJ sandwiches so I make these often. Cooking is like any skill. It requires practice. You might as well start practicing sooner than later! Cooking meals you like is a very rewarding endeavor. Pretty soon you will feel like a master chef. Invest in some basic plant based cookbooks to make your life a little easier. 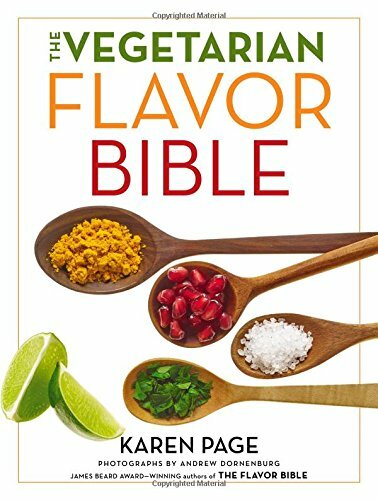 I reccomend The Vegetarian Flavor Bible and How to Cook Everything Vegetarian. I have a ton of easy yet healthy recipes on this site. Here is a personal favorite. Spanish Beans and Quinoa. Start cooking for yourself and discover this fun and addicting hobby. The only really annoying part is the clean-up but this gets quicker with practice too. With these five items, you will be able to maintain a healthy vegetarian or vegan diet as a pilot or flight attendant. Happy flying!